Rent Wayfarers | Corporate Events | Wedding Locations, Event Spaces and Party Venues. 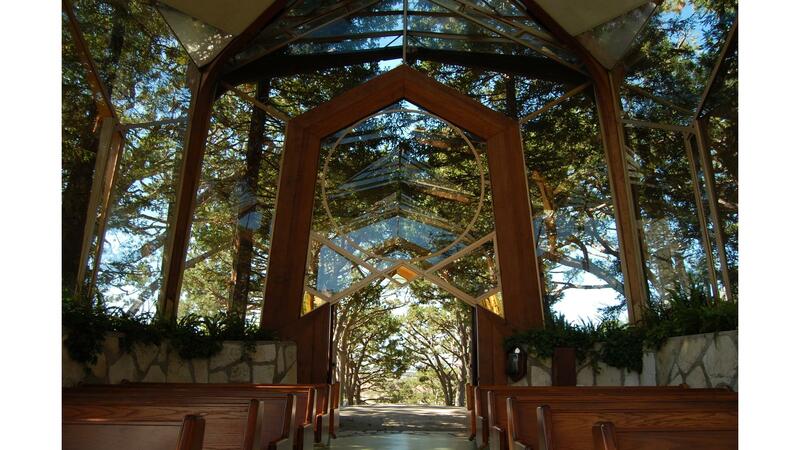 Imagine your wedding in one of the most romantic and awe-inspiring places on earth The Wayfarers Chapel, also known as the Glass Chapel.For over fifty years The Wayfarers has welcomed couples from all religious backgrounds to celebrate their wedding in this natural sanctuary. The natural plantings inside the Chapel eliminate the need for expensive flower arrangements. The Chapel keyboardist plays music, or you may have The Chapel Musicians play, allowing you to choose a wide variety of music. Candles on the altar are lighted for your ceremony. For evening ceremonies a Candlelight option is available.